It’s the fall and that means marathon training season is here. Hiring a certified and qualified coach is undoubtably most impactful to athletes preparing for marathons. There are so many individual factors that go into training for the marathon, a personalized and customized program is always the most optimal solution. However, understandably not everyone has the willingness or resources to hire a coach for a myriad of reasons. For these runners, regardless of ability or goals, a good program and resources are the next best thing to help them prepare. For years EventHorizon has been helping hundreds of such marathon runners get to the finish line. Our Boston marathon qualifier programs, The Q, and other marathon programs have amassed a great following and the testimonials and feedback continue to come in as we improve the programs every year. 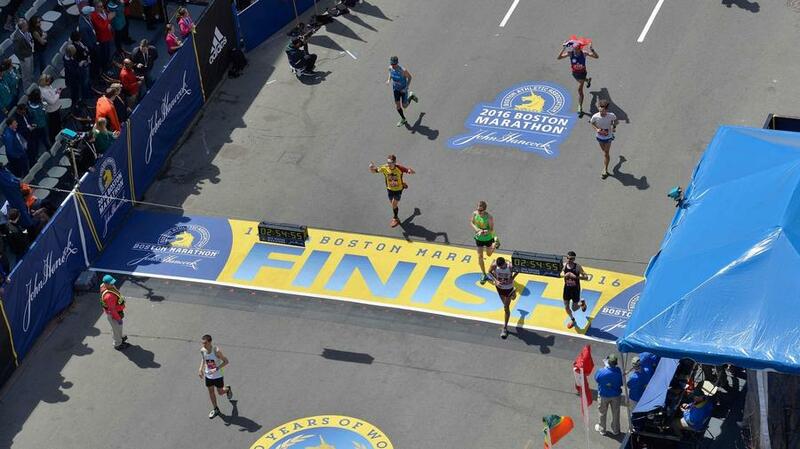 Registrants in next years Boston Marathon are starting their training programs. 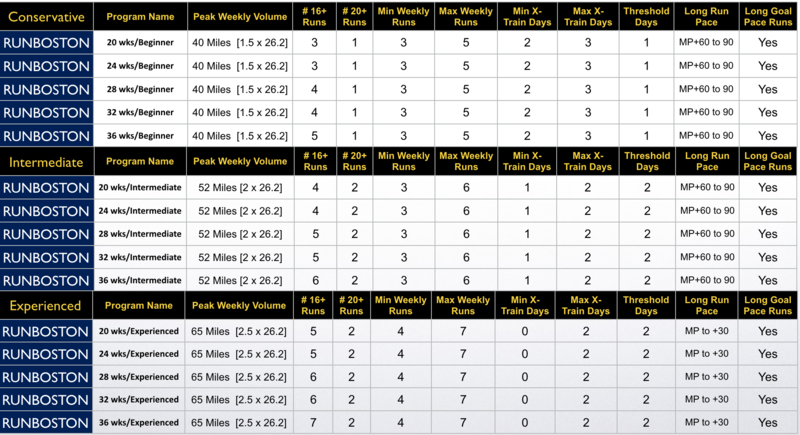 There’s been a great deal of interest in the updated RunBoston training system since it’s recent re-launch. Runners have seen the value and we’ve already seen many runners registered in the 2018 race take the leap. For those that have questions they can take a look at the video. The combined system seeks to do more than just provide a runner an “x” week program like most programs do. 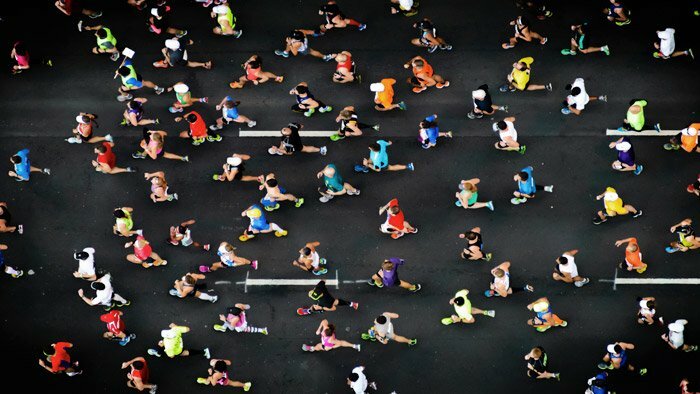 The RunBoston system provides the marathoner with the complete resources so that the runner can dynamically determine where they are and compare it to where they want to be, and have a realistic pathway to get there. 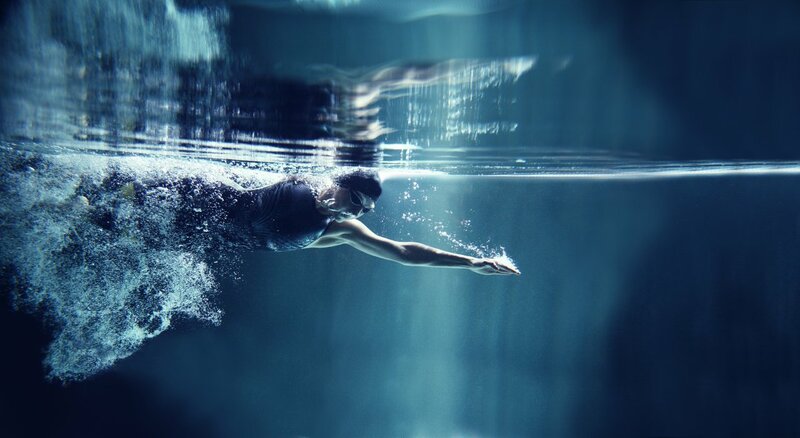 Let’s dive deeper. This is a program that has been customized specifically for the Boston Marathon course to help runners power past the 4 Newton Hills. 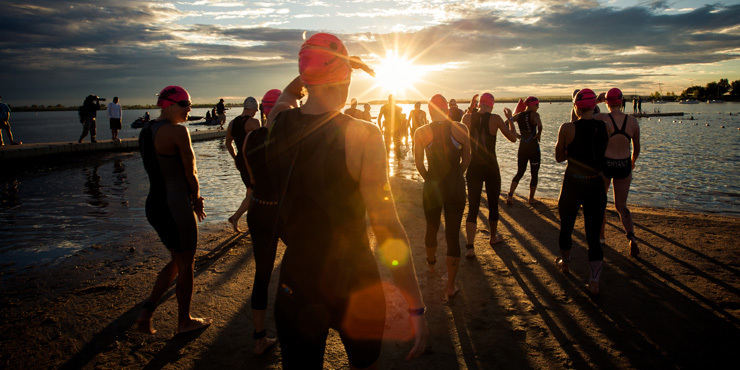 Powered by TrainingPeaks and the revolutionary TrainingPeaks “Workout Builder” athletes get clear instruction on how to execute the prescribed workout. Marathoners too often will buy programs and the only instruction is “run x miles tomorrow.” However how should you run it? How should you break up the run by intensity? What is the objective? How do you warm-up and warm down…etc? This is the benefit of programs designed through the TrainingPeaks system. Another benefit is the runner’s completed activity is saved for evaluation and roll-up analysis. This is something you can’t do with many programs offering in the marketplace. As you can see below there is a conservative, intermediate and experienced sleeve. The characteristics of each program sleeve are listed below. There is a program for all abilities. There are recovery weeks every 6 weeks that allow the runner to recover, harvest training gains and test their progress with field tests. With other programs in the marketplace marathoners are left to just figure things out on their own. The RunBoston companion eBook is now close to 80 pages! 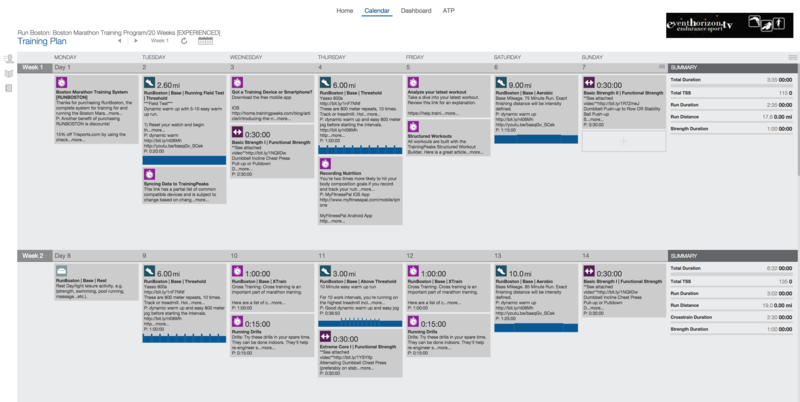 It acts as the marathoners “user’s guide” to the RunBoston system. Everything from field testing, setting goals and targets, nutrition, race nutrition, body composition, pacing on the Boston Marathon course…etc. It’s all there to help the marathoner maximize success. Take a look at the full table of contents. Appendix: Glossary, Nutrition Tables, Q&A…etc. 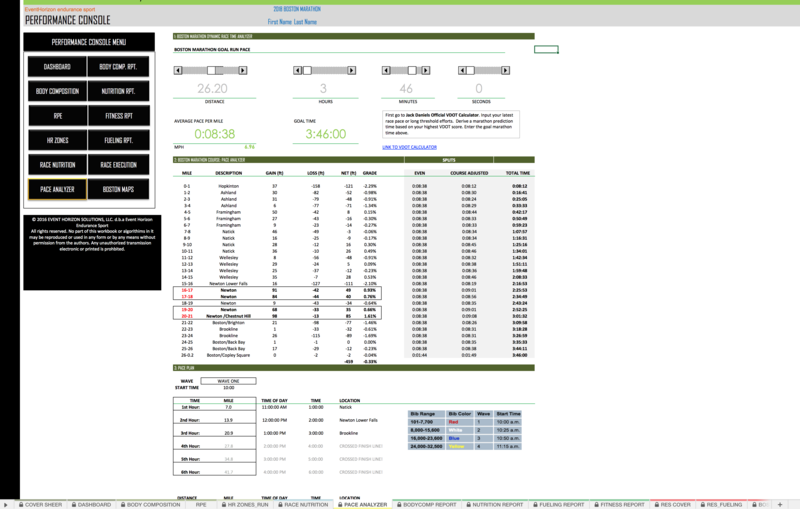 The final component of the RunBoston system is the Performance Console. A powerful workbook of tools and calculators and a roll-up dashboard. Each calculator allows the marathoner to enter in metrics like body composition targets, marathon goal targets and current performance results. Then the runner can get dashboard roll-up comparisons of where they are, compared to where they want to be by April. Side-by-side KPIs (Key Performance Metrics) assist the runner in dynamically deriving their performance delta. There’s even a race nutrition calculator that allows the marathoner to calculate with precision their marathon race nutrition requirement based on field tests. The console even allows the marathoner to build their own race execution strategy and other reports. 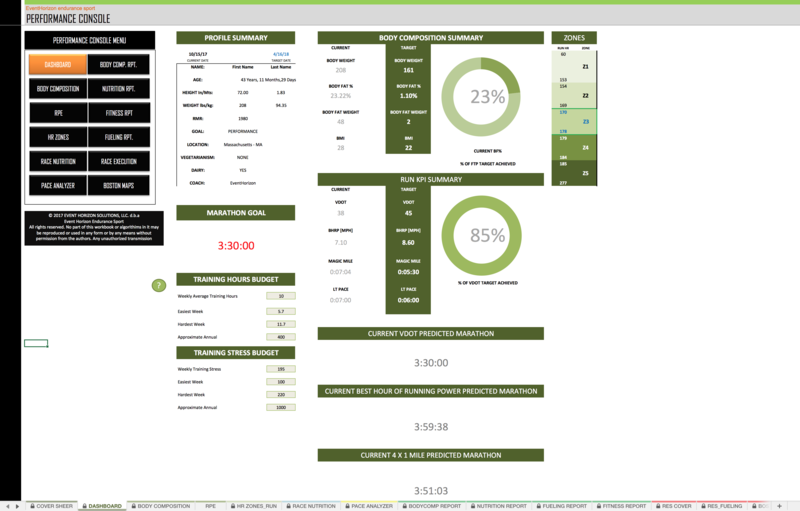 The Pace Analyzer template is one of the most helpful tools to the Boston marathoner as they begin to formulate their race execution strategy. Building off the runners training based marathon prediction, they get Boston Marathon course adjusted splits and pacing strategy. The entire system is ideal for those athletes that are self coached. Unlike other programs in the market, the system is infused with resources to swing control, planning and understanding to the marathoner to maximize execution and success. The system can even by applied to a group or team through our training team solution. 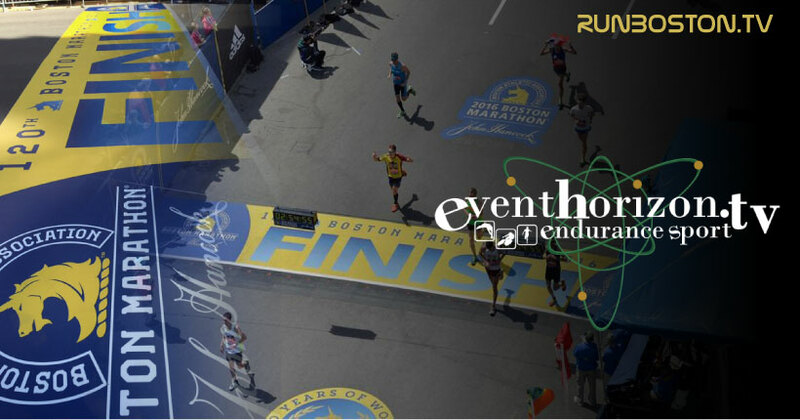 For more information please reach out to us at contact@eventhorizon.tv or go to http://RunBoston.Tv to learn more about the system and view sample workouts. On 10/25 we’re give a free webinar on training and racing the Boston Marathon. If you’d like to join register at the following link.